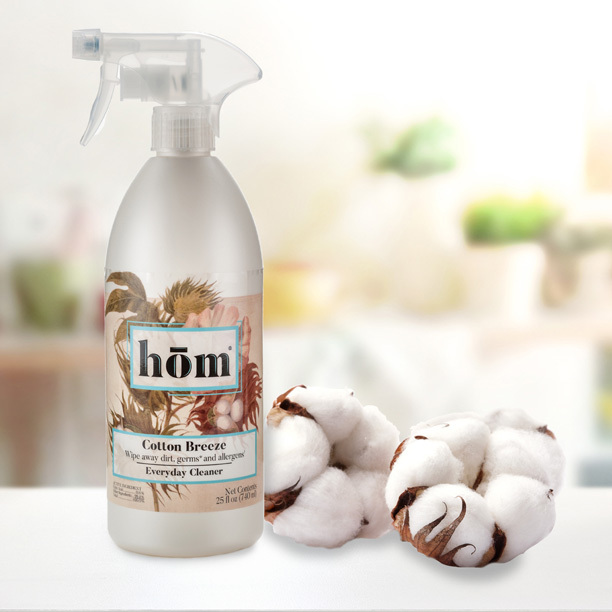 hom Everyday Cleaner is an antibacterial, all-purpose cleaner that is tough enough to wipe away dirt and germs, but gentle enough to use around kids and pets, at a price you can afford. 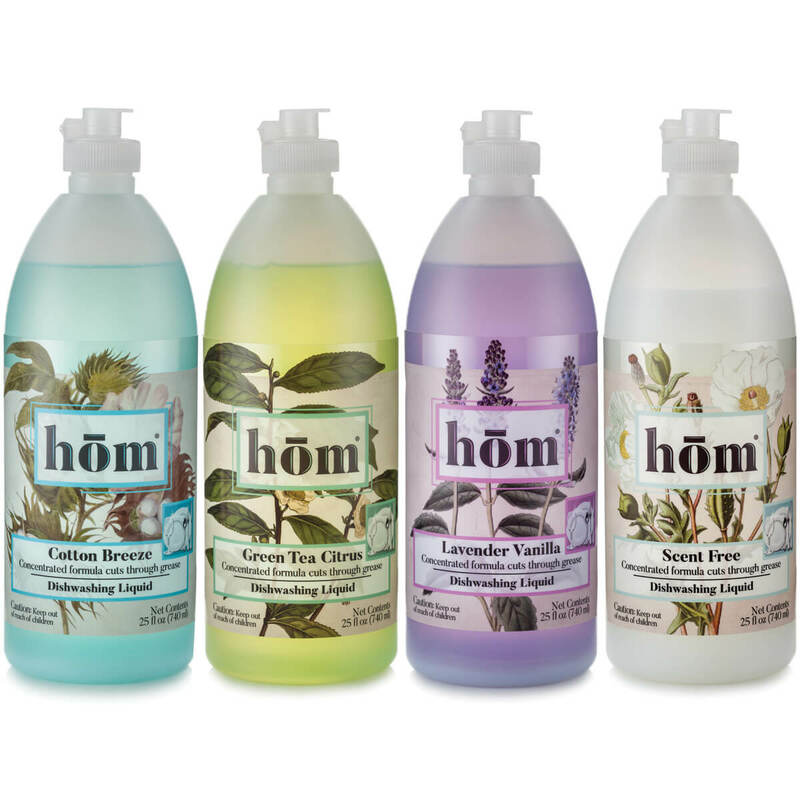 We say no to harsh chemicals and yes to an everyday clean that leaves your home smelling fresh. 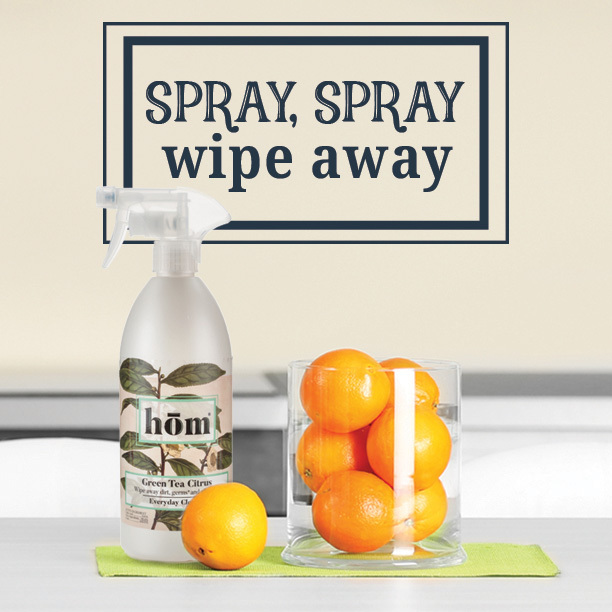 Spray it everywhere, because it effectively sanitizes and disinfects all surfaces. 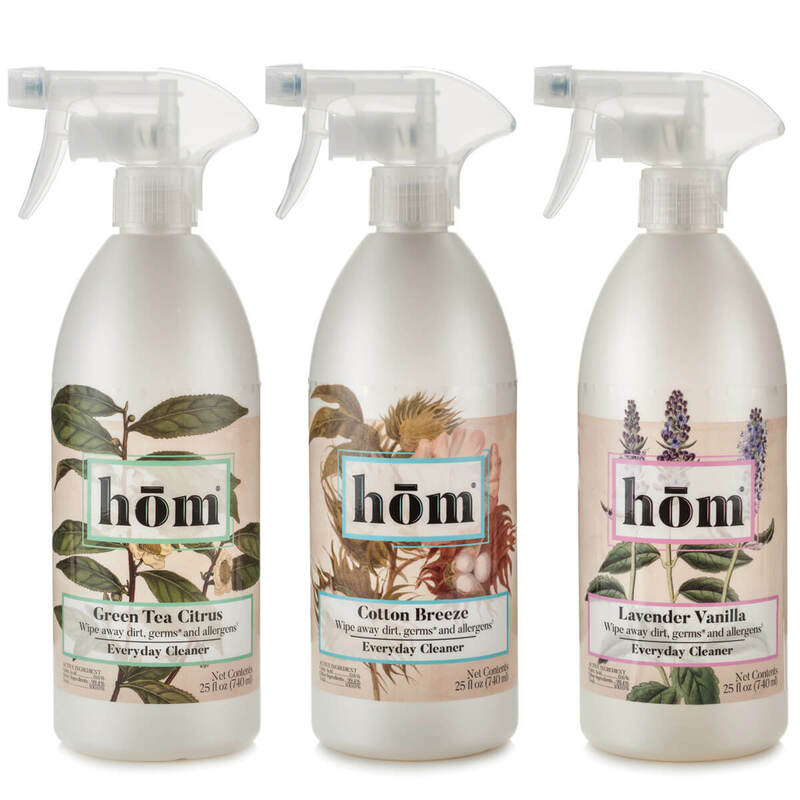 Just a few sprays will help keep your home healthy and bacteria-free. And the bottle is pretty enough to leave on your countertop! What’s not to love? It is a violation of federal law to use this product in a manner inconsistent with its labeling. Pre-clean areas with heavy soil prior to disinfection. Clean: Spray surface and wipe clean. Sanitize: Wet all surfaces. Let stand for 1 minute. Wipe or let air dry. No rinsing or wiping required. Disinfect: Wet all surfaces thoroughly. Leave for 5 minutes. Wipe or let air dry. No rinsing or wiping required, except on direct food contact surfaces, which require a potable water rinse after treatment. Suitable for use on countertops, floors, glazed ceramic tile, walls and sealed granite. For other surfaces: Spot check to test for compatibility. Storage and disposal: Store airtight at room temperature; Non-refillable container; Do not reuse or refill empty container. Offer for recycling if available, if not, discard in trash. 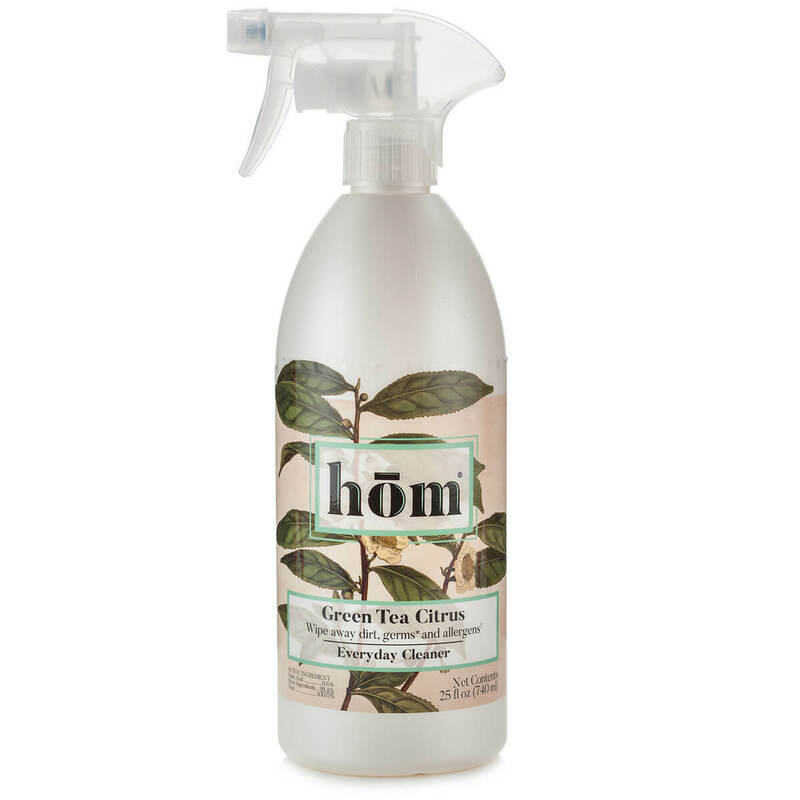 My favorite go to cleaner!! 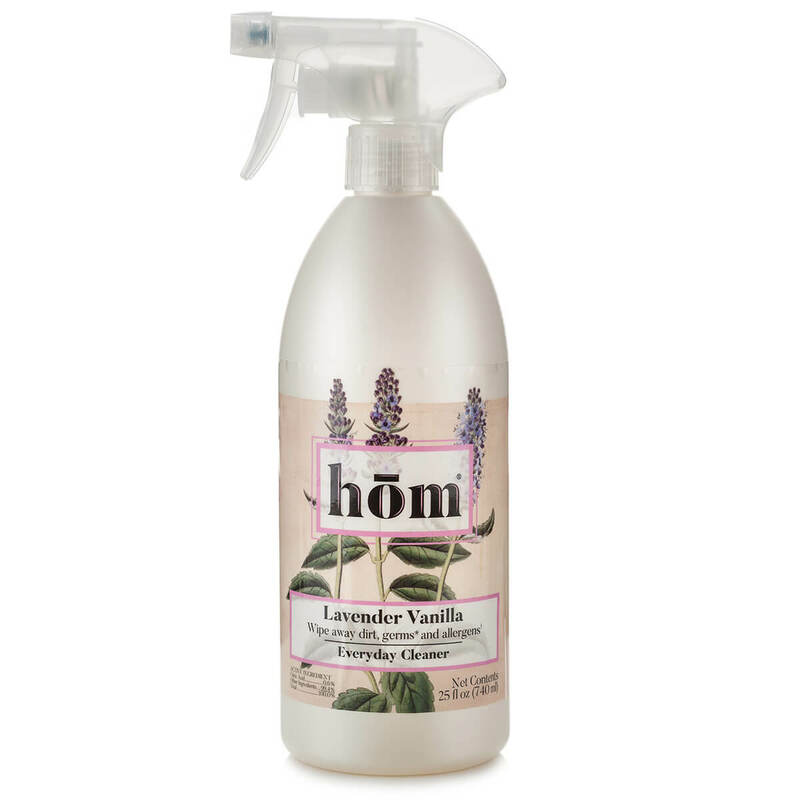 Favorite scent is the lavender vanilla. 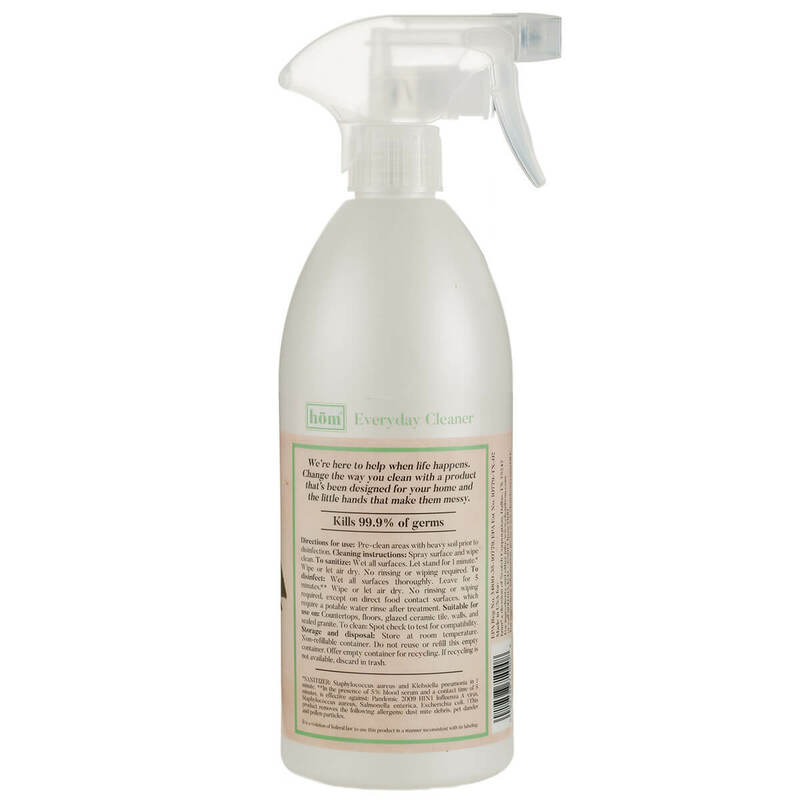 I use in place of cooktop cleaner as wel since it’s the only cleaner that doesn’t leave streaks! Cleans granite without dulling as well. 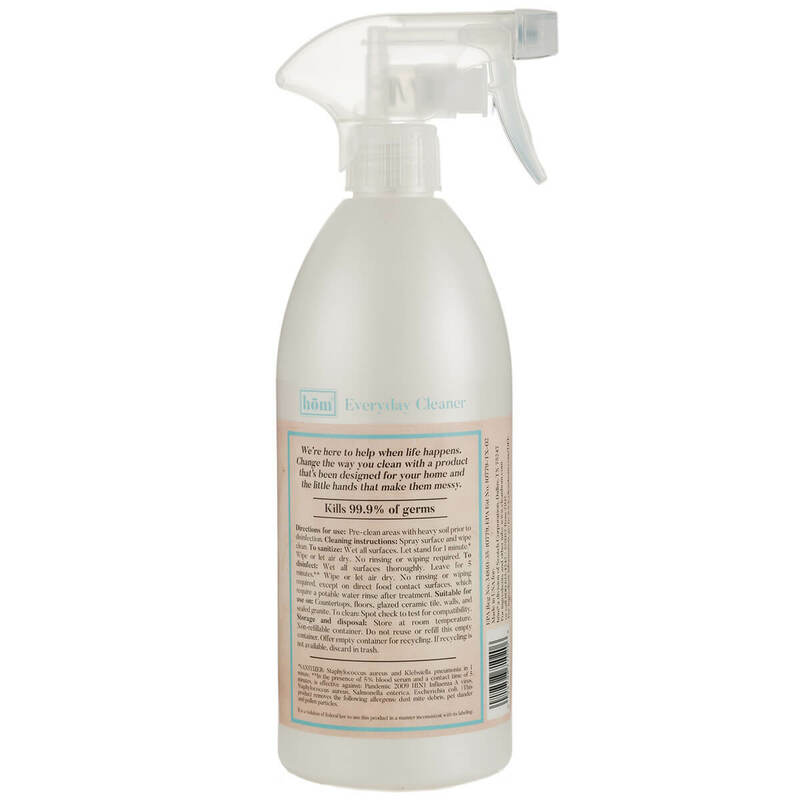 This everyday cleaner is great! It cuts through counter top grease in no time. And with two toddlers in the house knowing it’s safe for them is fantastic. I absolutely love the every day cleaner! 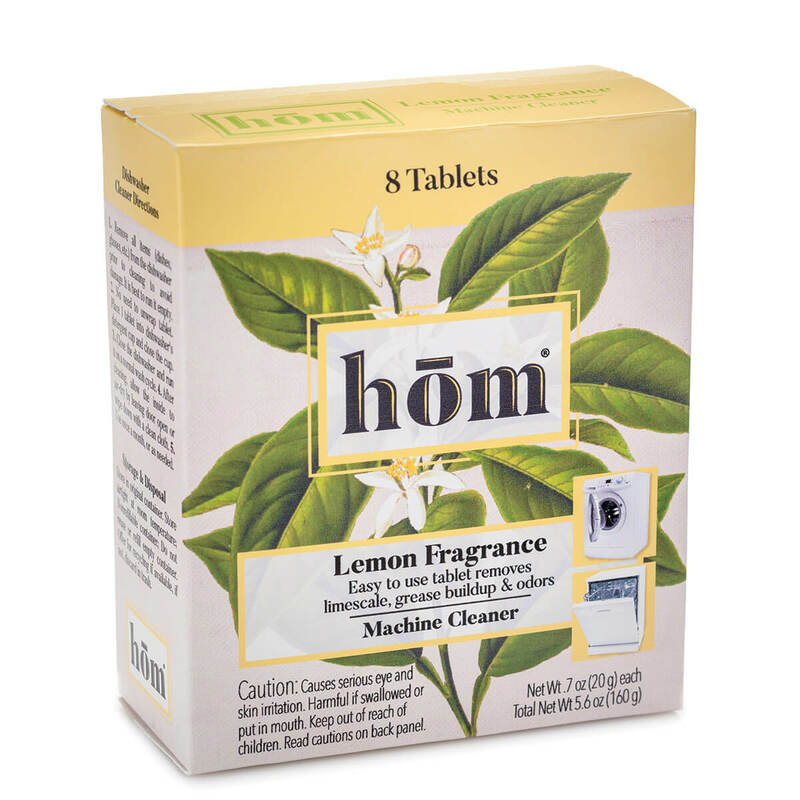 It keeps my house clean and smelling fresh, but without an overpowering smell. With 2 dogs and a toddler, it's exactly what I need! 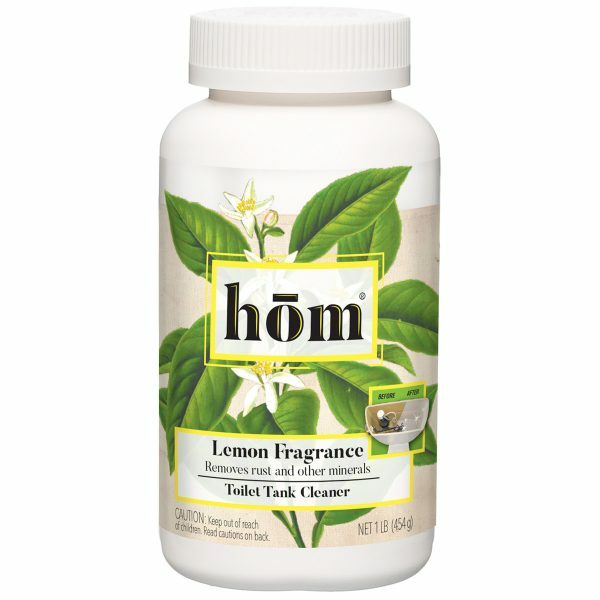 I've been using this to sanitize high traffic surfaces. 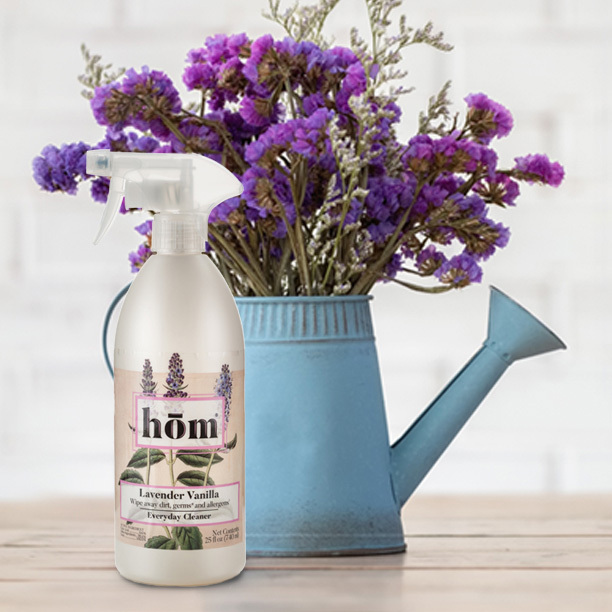 It dries quickly, you can spray the cleaner and wipe it with a damp rag to remove and debris/stains or spray it and let it air dry when you're in a rush. Leaves a noticeable shine and pleasant scent. Green tree citrus was my favorite. 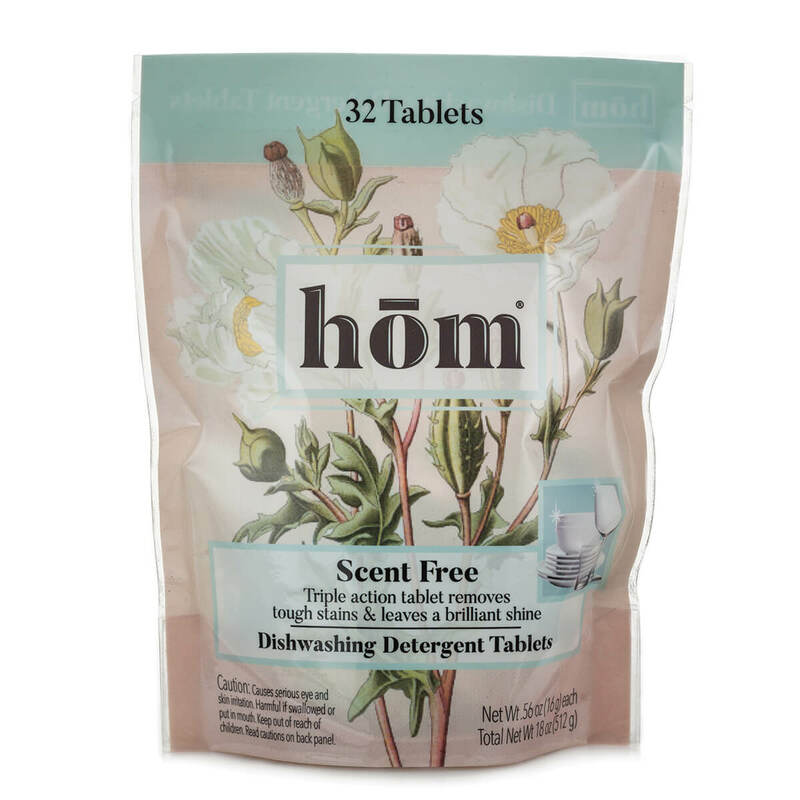 I love using this since I have pets and kids at home. Feels very safe but also works!